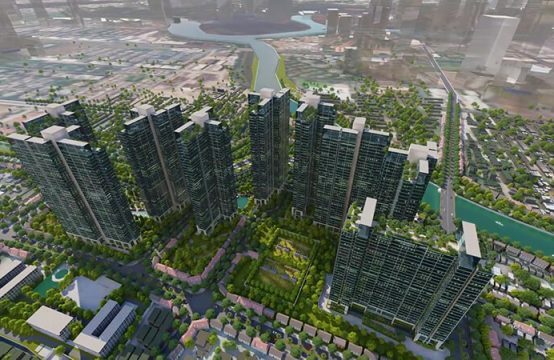 Construction of Mui Den Do Saigon Peninsula, a world class project, promises to bring people a life of green, comfortable, luxurious level of class. What is Mui Den Do Saigon Peninsula Park? 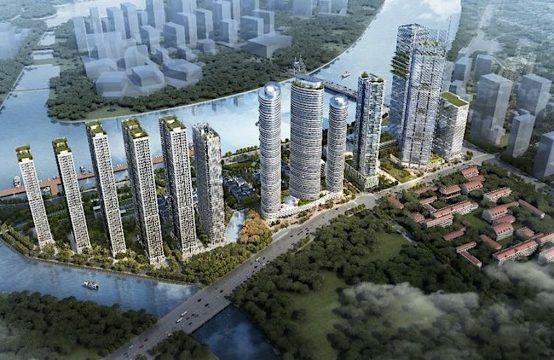 This is the most luxurious urban project in Vietnam. With the shape of an arrow, and the construction of green spaces (mixed park area, many functions are 69.7% of total area and the remaining percentage is living urban area). Located in District 7 of Ho Chi Minh City, the Saigon Peninsula is bordered by many major rivers, with the busy docks of Districts 1 and 4. Traffic here follows the important maritime routes. Not only that, its distance to other major urban areas such as Phu My Hung, Thu Thiem and many other places of downtown just 15 minutes by motorbike. 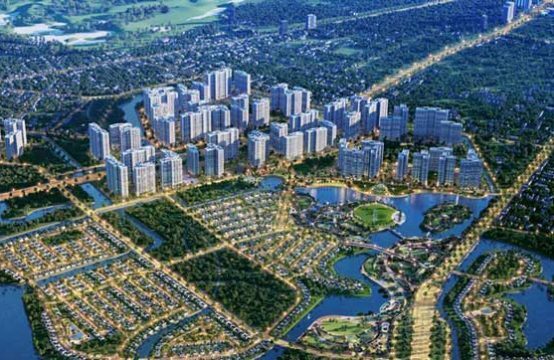 This is a great advantage that customers rely on to choose Saigon Peninsula as a place to live, rest and work, in the near future. Saigon Peninsula is known as the most magnificent urban area of our country with total planning area up to 117.8ha. Overall, the whole project as a forward arrow has two sides of immense river. Total investment for this project is $6 billion. The architecture here will be designed in modern, world-class architecture, bringing people the excitement of living here. 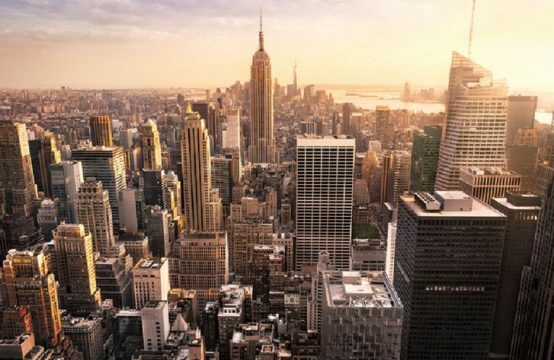 Although the groundbreaking ceremony of investment cooperation on August 3, 2016, the real estate market seems to be heating up day by day, due to the great interest of investors, as well as potential customers. Those wishing to buy a villa or apartment, they expect to be there to enjoy. Others expect the project to be completed soon to see its beauty as part of life. 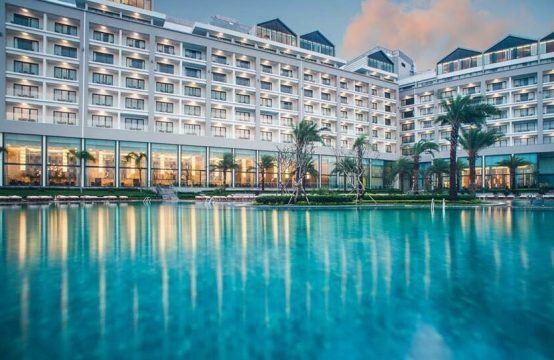 With investment capital in billion dollars, the investor of Van Thinh Phat Group Joint Stock Company is two foreign companies, Pavilion Group & Genting Group. Saigon Peninsula Red Cross was designed by leading Korean builders Posco E & C and Hyundai E & C. Mui Den Do Saigon Peninsula Park are divided into two main zones, multi-purpose area and residential area. The amusement park, as well as the green area is distributed with a larger area than the housing. This means that when you live here, you will have a fresh space, calm comfort because this urban area gives users utilities that cannot count. As mentioned above, Saigon Peninsula Apartment brings you a green space. More specifically, the construction density occupies only 21% of the total project and the maximum height is 35 floors. It functions as a tourist, cultural, recreational, public or ecological park. All are designed in the smartest way, most modern, meet all needs of entertainment, leisure, relaxation, everyone. Not only serving customers in the country, but the park also serves the foreign visitors. After the project is completed, you will see a colorful, crowded park filled with people in the upper reaches who come to visit and shop in the mall. The commercial center here is built to a very large scale, full of areas from gastronomy to high-end entertainment. Not only that, the park also has an area dedicated to research projects related to the environment and other sectors. 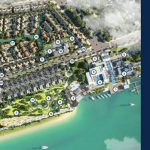 Customers also increased interest, favorite, selected projects to live in, when the Red Lights also has an international passenger dock, with an area of 4.6 hectares and the expected length of up to 600 meters, Capacity of trains with an estimated load of 50.000GRT. Coming to the Saigon Peninsula’s residential area, customers will be satisfied, even better than you imagined. Because in this place, all needs for life’s activities are fulfilled. The grade A office, vibrant commercial center with high class goods, modern tourism, recreation, exchange opportunities with the high aristocracy of foreigners. This not only helps you improve your knowledge, but also gives you the opportunity to advance yourself. Living in a high place of people, health care services for you and your family are also much more focused. Come to Saigon Peninsula Red Light Park, you have come to the paradise of the world. For more information about the Saigon Peninsula project, please contact us.